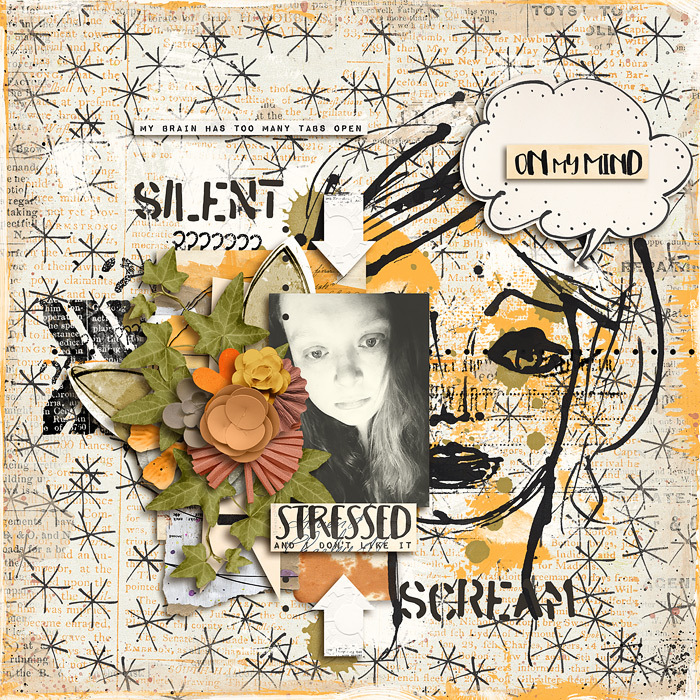 Oh love this LO, love the cluster, the background and the arrows pointing to the photo! Love love LOVE it! Love how you used the sketch and I love your page design. Beautiful work. This is so flippin amazing! I feel like I could pop my face in there and this would work for me too haha! I can totally relate! Fantastic page design. I love the sketch just behind your photo. That cluster is gorgeous!! Love the brushwork behind the cluster and photo! Gorgeous!